It seems just like yesterday that we were telling you how to get your outdoor grill ready for winter storage, and now it is time to talk about preparing your grill for the spring and summer. Here in Columbia, SC, we are already enjoying warmer temperatures and are ready to start cooking outside again. However, before you turn your grill on for the first time this spring, you will need to take care of a couple of things first. 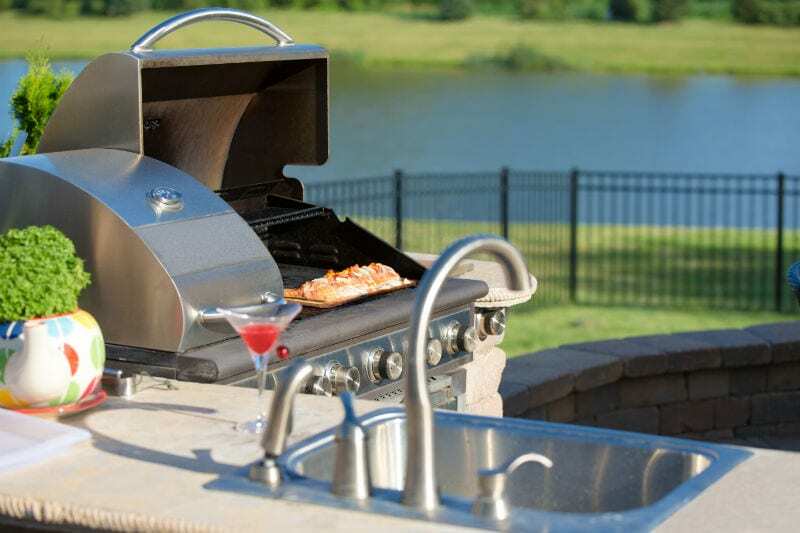 Grilling outdoors is very important to us at Bart Fireside as we not only sell a wide variety of grills, but we also design outdoor kitchens. We would like to take this opportunity to tell you what steps you should follow before using your outdoor grill this spring. If you have a propane or natural gas grill, it is very important that you inspect the hose that transports the gas to the grill. The hose typically goes from the propane tank to the burners. You will want to be sure that the hose is clean and intact. If you see any buildup on the hose, you should clean it off as your hose could possibly light on fire, according to The Kitchn. If you find any holes or torn places on your hose, you can replace the hose very inexpensively. If you need help with this task, let us know at Bart Fireside and we can assist you. Even though you cleaned your grill before storing it for the winter, you still need to give it a good cleaning before using it again for the first time. You do not want to leave any part of your grill uncleaned, which means if you have a gas grill, you should remove the grates (which definitely should also be cleaned). The Kitchn recommends using a wire brush and a damp cloth for grill cleaning. If you use soap, it can linger and even become difficult to wash off completely. Underneath your grill, you will find the grease trap, which also should be cleaned. Pull out the grease trap to remove any hardened grease from it. The Kitchn suggests lining the grease trap with heavy-duty aluminum foil to make the next cleaning session easier. Before you cook anything on your grill, it is best to give it a test run to be sure everything is working properly. All you have to do is turn the grill on, ignite it, and let it burn for several minutes. As the grill is burning, look closely to ensure all of the burners are working. You should also watch out for any leaks that could cause a fire hazard when grilling. After following these four simple steps, your outdoor grill will be ready to use all spring and summer. Contact us at Bart Fireside if you need any help with these steps, or if you are thinking about upgrading to a new grill this year.